How to Find the Best Cataract Surgeons in Atlanta! Thousands of people with cataracts opt for surgery to fix this common vision problem. Commonly caused by normal aging processes, there are over 25 million people affected with this problem. We'll explain more about what cataracts are and the surgical procedures throughout this site, but in a simple one word answer, yes. Cataract surgery is one of the safest and most effective surgical procedures. 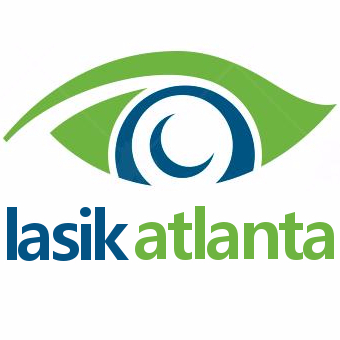 Although this website should suffice in providing up-to-date information regarding surgical procedures and cataracts, please feel free to visit the page dedicated to this issue on our main website at lasikatlanta.org/cataract-surgery-atlanta-ga/. We frequently update our content and you don't want to miss a thing when it comes to finding the best surgeon in Atlanta. We have scoured the area, interviewed doctors and their staff, and have personally visited the clinics themselves to find the best surgeons in the Atlanta metropolitan area. In other words, we've done the research so you don't have to. We have come up with the TOP 3 LIST and you should consider it before making a final decision in who is going to perform your cataract surgery. In simple terms, a cataract is a clouding of the lens inside the eye. Cataracts are extremely common in people over 40 and are the leading cause of blindness. Over 25 million people are affected with this ailment worldwide. Subcapsular Cataract: Occurs on the back of the lens. This is often found in people with diabetes or those taking steroidal medications. Nuclear Cataract: Occurs in the center of the lens (the nucleus). This is the most common type of cataracts and is caused by the aging process. Cortical Cataract: Occurs in the lens cortex which surrounds the center nucleus. The lens of the eye is primarily made up of water and proteins. As we age, these proteins tend to clump together making the fluid more opaque in nature. As this happens, light has trouble finding its way through it and can cause vision problems. Scientists have recently discovered that oxidative processes may lead to the development of cataracts as well. The recent approval by the FDA of an all-laser technique for cataract surgery has thousands of doctors complete this operation without the use of blades or other handheld surgical tools. This is much like how LASIK works for astigmatism. While laser cataract surgery is more expensive than traditional methods of implanting an IOL (Intraocular lens), the risks that come with any surgery are far less. In traditional cataract surgery, an ophthalmologist uses a high frequency ultrasound device to break up the protein on the lens, a process known as phaco-emulsification. The proteins are then removed from the eye using a state-of-the art suction device. An IOL is then inserted behind the lens and the remaining cataract is then removed. To find out if this type of surgery is right for you, schedule an initial consultation with one of our highly recommended ophthalmologists on our website (linked above).